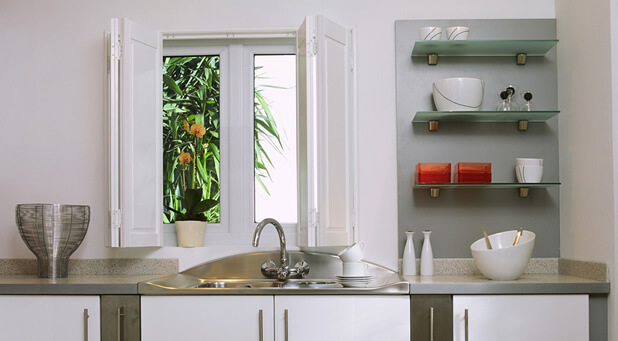 When people think of shutters, they often overlook our solid panel shutters. 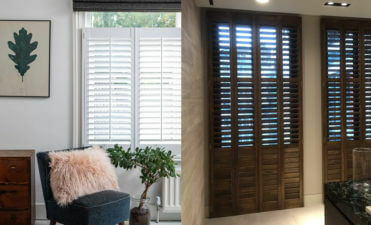 Solid shutters can work fantastically in certain rooms, can be combined with louvres, created in tiers and are a traditional and stylish window dressing which ooze character and originality. In fact solid shutters date back 500 years ago before glass windows when it was common to have solid wood shutters on properties, acting as a way of regulating light, air and security even back then! Home owners would even have differing designs and decoration on the panels. 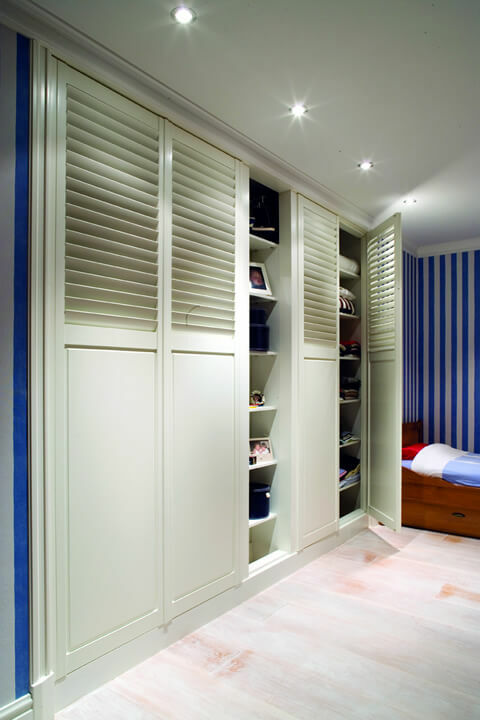 Our solid shutters are bespoke designed to suit your windows, room and requirements. They can be designed as full solid panels, half solid with louvres in the top sections (best of both worlds!) and stacked in tiers, much like our tier on tier shutters but solid, allowing for better flexibility. 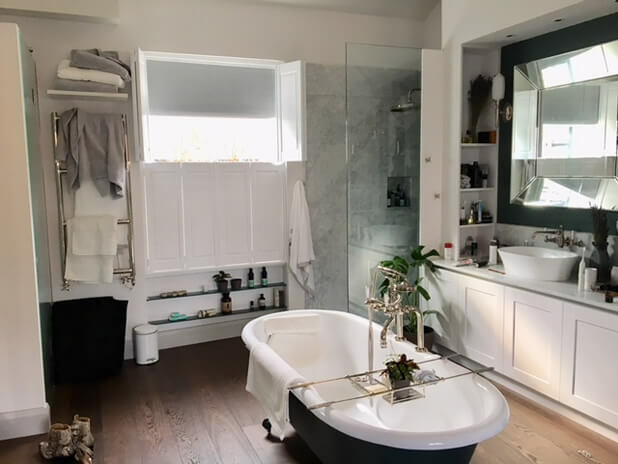 As with all our shutters they can be finished in paint or natural wood grain, allowing for traditional colours, custom colours or natural wood and rustic finishes. Solid panel shutters sit flush against your windows and can neatly fold out the way when opened, creating a bigger feel to your rooms. Because the panels are solid they are the best solution for insulation, noise reduction and near blackout. 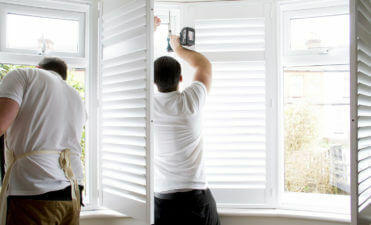 They can installed to large windows, small windows and even doors and openings. 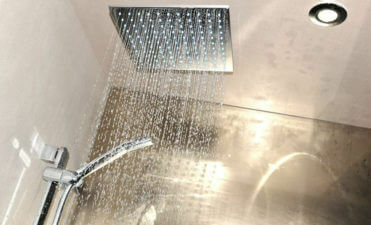 The work fantastic in bathrooms and kitchens among other rooms. Because they lack louvres they are easier to use, allow for quick and easy opening and closing and also are a doddle to clean. A quick wipe over with a slightly damp cloth is enough to have them wiped down in a few minutes. Imagine if you could do that with curtains? 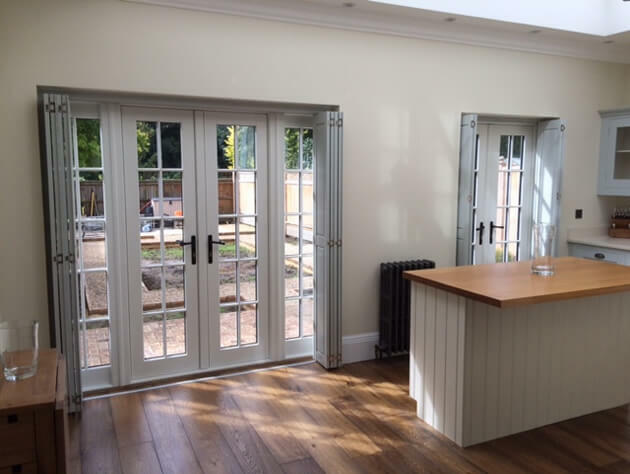 Some windows and openings just look fantastic with solid shutters and we can definitely see why the customer opted for them. Sometimes on our recommendation solid shutters work better for a certain window and the client is glad that this option was discussed. 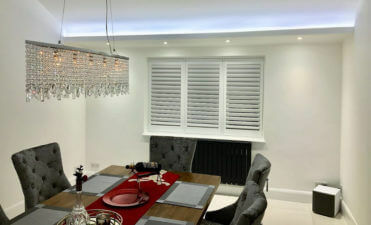 If you would like to find out more information about our solid shutters and indeed all the other styles we offer, then please do get in contact!